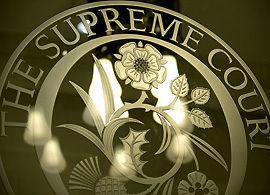 The Supreme Court has published the sittings for the Easter term, which will commence on the 4th of May. Upcoming cases include Kernott (Respondent) v Jones (Appellant), regarding separated cohabitees’ property rights and whether a court can properly infer an agreement by an unmarried couple, who hold a property in equal shares at the date of their separation, to the effect that thereafter their respective beneficial interests should alter. E (Children) will also be heard later in May. The case concerns what is the correct test when allowing an ‘abducted’ child to remain in the UK. Announcements of two new appointments to the Court are expected shortly. Lord Collins retires on 7 May, but will be sitting regularly as an Acting Justice until 31 July. 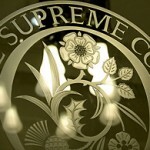 Leave a reply on "Easter Term Supreme Court Sittings"